240: Do these Strut Bearings Look Ok? Do these Strut Bearings Look Ok? I replaced the strut bearings about 1 year/15k miles ago. The rubber is separating as shown in the photo below. My assumption is that they are bad and need to be replaced, but appreciate other opinions. Same deal with mine, roughly same mileage as well. 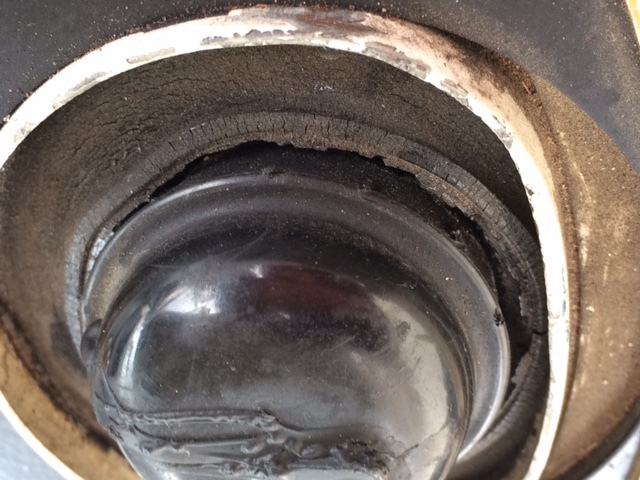 There doesn't appear to be a decent strut mount out there that has rubber. I went with Ben's BNE select mounts for peace of mind. Just so you know the lux steer option is worth the extra cash. I have some PNW cool weather actual old school Oe ones that don’t fail prematurely. My preference is to keep the car stock, but will consider this. I will send a PM for more details. Ben's are superior in every way. I really don't get why you guys panic and think the sky is falling and you need to buy a bunch of ben stuff (not that it isn't decent). I've literally just been cherry picking used and skating by for a decade or more that way..
Don't expect the 15A plates to work with new OEM though, tried that. Nothing can save that junk. I guess if you want to save some coin go used, nothing wrong with that. No need to denigrate those that are willing to spend a bit extra on their ride though. With the BNE stuff the cost only goes up over new OEM if you get the Luxe Steer option. Fact: The entire old volvo driving polulace wants to make their old noisy car noisier knowing it's the best race car ever! Getting another easy decade+ from the car that was supposed to be dead at age 20-25 and using it similarly to all those nissan altimas/focii/model3s/take your pick/fill in the ____ that are strangely much faster is blasphemy. Unbelievers are to be stoned to death. Who said it was difficult to do business with Ben in volume and/or respect the guy selling top-notch stuff? Deepest condolences to Ben(and his past and future generations) doing a ton of work to 'help out' the starving & in need here. Breaking news: For reasons unknown, TB has no members in Seattle(ish), where, despite them being few and far between, if they're anywhere, there are low mile no UV parts cars in the noveau riche suburbs that just do little circles on cool smooth roads before returning to the parking structure/carport/garage with strut mounts in perfect shape. Last edited by Kjets On a Plane; 01-07-2019 at 07:11 PM..
Stock vs. BNE is a bit of a tough decision for me. Stock parts have the rubber part. I assume this will help damp shock and vibration. Do the BNE result in more vibration in the car? Are there any negative consequences of using BNE that are not present with the stock part? Cant really go “wrong” with the BNE parts. In that particular location, noise has to make it thru the tires, shock and spring before it resonates in the body. The rubber is there to allow for slight changes in angle of the strut/articulation relative to the mounting place on the body as much as it is for noise. But if you just drive on the street like a normal person I sort of doubt you need more than the stock mounts, strictly speaking, either? Having driven both they both work. The BNE stuff isn’t horribly/hardly notably noisier on its own, the stock decent quality older ones last a long time in normal use with the 15A plates . Driving is otherwise a little crisper with better caster settings on the BNE on their “position 1” setting even with stock springs/all else stock otherwise etc. Last edited by Kjets On a Plane; 01-07-2019 at 11:45 PM.. I have had no additional NVH from using the basic mounts without lux steer. Ran them for a couple of years, and swapped out to some rubber mounted GT struts, and feel is less. I highly recommend. As always, YMMV.